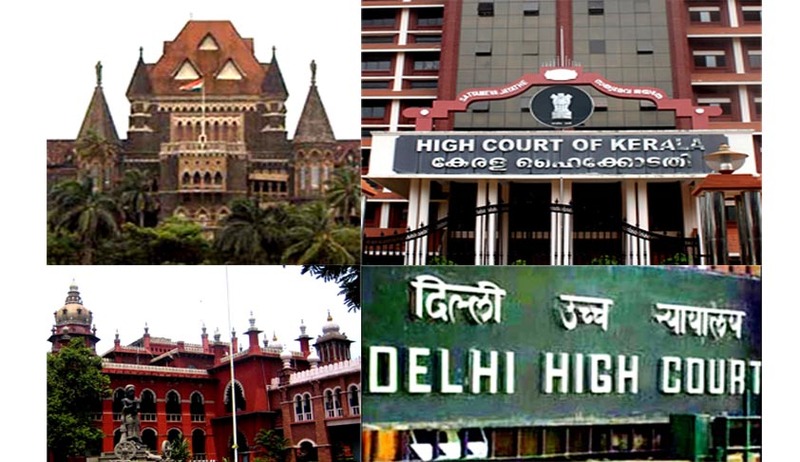 Delhi high court has slapped a cost of Rs 2 lakh on Delhi government for its failure to create mass awareness against sexual offences concerning women and children. Madras High Court declined to interfere with Tamil Nadu Government's order granting entertainment tax exemption to Rajinikanth's latest film "Kochadaiyaan", releasing on Friday, and asked authorities and exhibitors not to collect the levy from the viewers. Kerala High Court gave green signal to the state police to go ahead with ‘Operation Kuber’ against illegal money lenders. The Delhi High Court issued notice to the central government and the Central Reserve Police Force (CRPF) on a plea filed by the bodybuilding team of the paramilitary force against the decision to disband them saying that the sport did not come under 'All India Sport' category. The Delhi High Court disposed a petition seeking the quashing of the cabinet decision to waive 50 per cent of the power bills of the defaulters after government took a stand contrary to the Cabinet decision of the then Arvind Kejriwal dispensation in the High Court saying it cannot waive 50 per cent of the power bills of the defaulters. A petition filed before the Delhi High Court seeking a ban on the book about spiritual leader Amritanandamayi “Holy Hell: A Memoir of Faith, Devotion and Pure Madness”, written by’s former aide Gail Tredwell, who had lived with her in the ashram between 1981 and 1999.